I’ve been wanting to try some real hiking in the snow for some time now, but have always been intimidated by it. Today was the day that all of that ended! My friend and I decided to head out to the Cucamonga Wilderness to try to see if we could summit Timber Mountain. Since it rained all day yesterday, the mountains were filled with a heavy dusting of new snow. All that fresh powder made for the perfect hiking conditions. On top of that, this trail has some of the best views I’ve ever seen which made the entire experience even more surreal. The hike to the Saddle wasn’t that bad. Conditions changed though once we reached the final ascent to the summit. Microspikes and poles were definitely a must! It would have been nice to have snowshoes on hand too when we reached the last mile or so because the snow became shin deep in some areas. After what seemed like a never-ending ascent, we made it to the top! The views were absolutely breathtaking and made every step worth it. We stayed at the summit for about 30 minutes and then we saw some not so nice looking clouds roll in and decided that it was time to head back down. Aaaand that was my hike of Timber Mountain. 3,336 feet of elevation gain. 8,303 feet in elevation at the summit. First hike of the year and my first ever snow summit! Here's to pushing myself out of my comfort zone and hopefully conquering more mountains this year. The mountains were calling so we answered! Drove a couple of hours out of the city and found ourselves hiking in snow. Also! To step foot on the Pacific Crest Trail is something I've been wanting to do for a while now. Glad I finally crossed it off my bucket list today! Can't wait to hike more of the trail in the future. I managed to unearth some photos from my trip to New York earlier this year. I went in March and it was very very cold. I had the worst flight experience of my life (let’s just say it left me in tears and stranded at an airport..), and I discovered that I’m not really a big city person. I also think that I may have deleted quite a bit of files from the first portion of my trip, which was in Saratoga Springs, and it has left me feeling very disappointed in myself… but here’s the rest of the photos that I managed to save.. which are mostly just photos of me. Hah. Posting them on here so that I don’t lose them again! This morning started with me watching random YouTube videos in bed and all of a sudden turned into me putting on some warm hiking clothes and packing a backpack to take with me to the mountains. It’s been a few weeks since I’ve done something outdoorsy and after hearing that Mount San Jacinto has a pretty decent amount of snow right now, I knew I had to go. This was my spontaneous solo snow day. Figured that I should pack some food before heading out there so I stopped by Target and found some fancy Lunchables. It did the job. Do what makes your soul shine. For my last two birthdays, my way of celebrating has been taking a trip to a National Park. This year was no different. 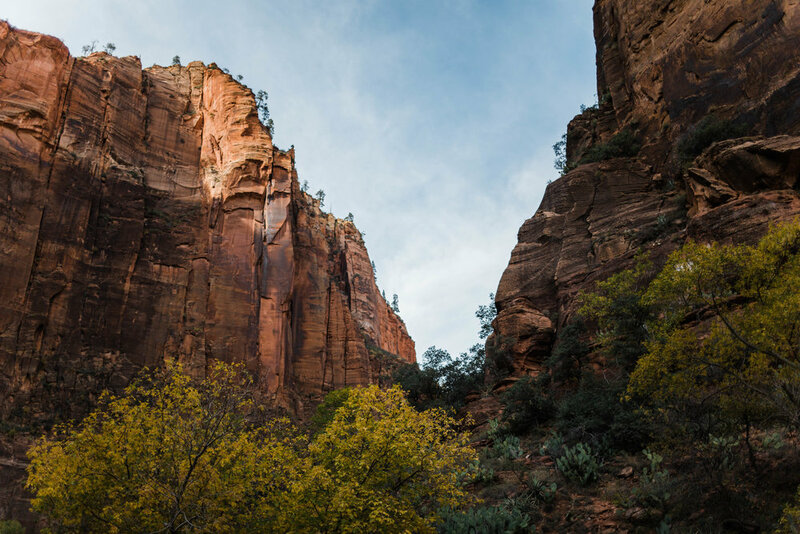 For my twenty-fourth, I decided to head to a place that has a special place in my heart- Zion. 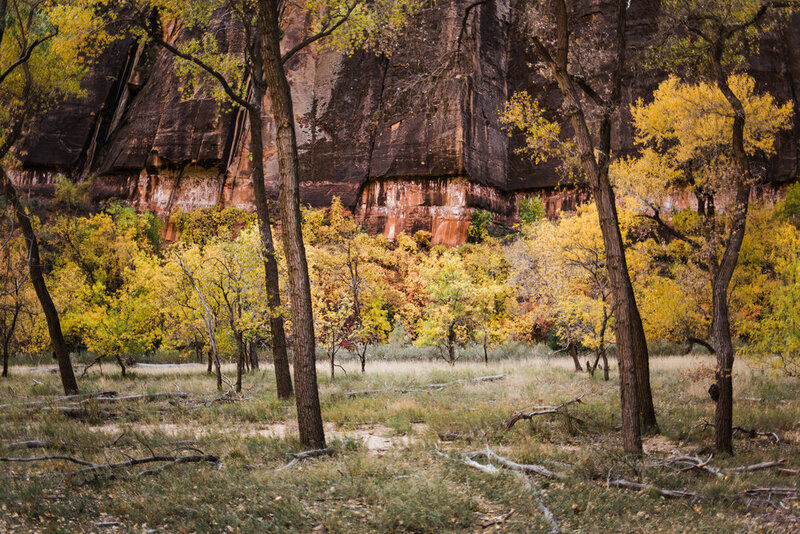 I’ve never been there during this time of year before so it was a big surprise to me when I saw just how much of the fall colors were showing when we got there. Last week, I took a solo road trip to the Sierras in search of fall colors but I think I actually found more of what I was looking for here! Most of the photos I took were during the hike on the trail that leads you to the Narrows. SO much fall colors here! 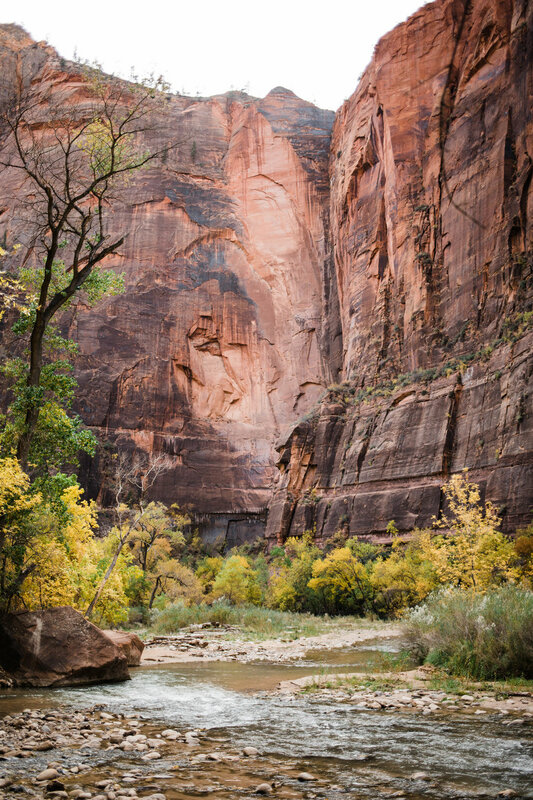 It’s also a pretty short but fun trail that I would recommend to anyone who visits Zion. 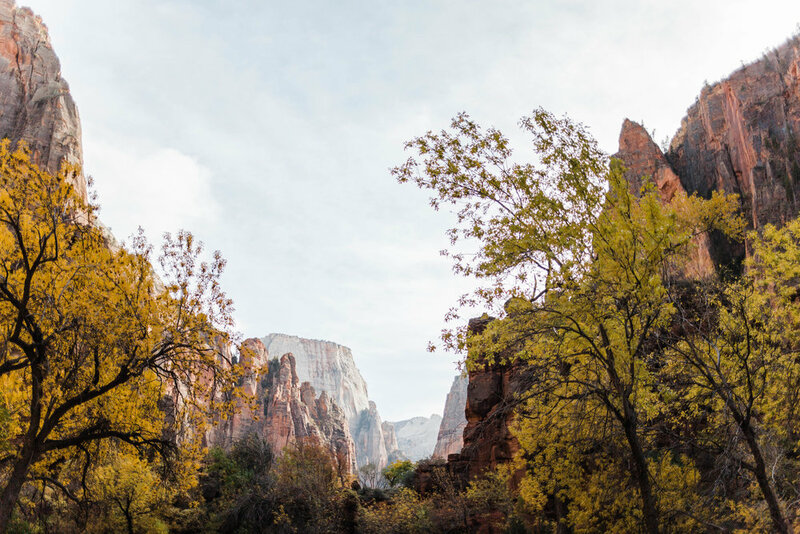 It takes you to the start of The Narrows, a hike that leads you into the river, which is also probably Zion’s most popular hike (and a hike that’s definitely on my list next time!). Spot the tiny rock climbers! I’m still slightly geeking out over Free Solo after watching it last week, so this was definitely a sight to see. I love how vibrant the yellow leaves were here! Probably one of my most favorite shots from the trip. It’s me! I’m always at my happiest when I’m in a national park. Another spot we went to was the Zion Canyon Overlook Trail. You can’t access this trail via the shuttle so you’ll have to take the scenic drive there, which is a great activity in and of itself. 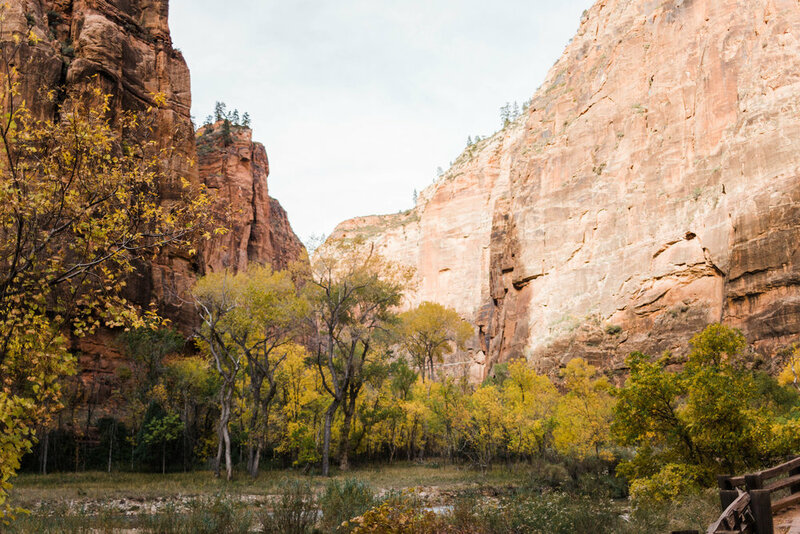 Once you get to the trail, the short hike leads you to one of my favorite spots in Zion. I also like to call it the mini Angel’s Landing because you get a similar view without having to do the scary hike! And that caps off my birthday celebration! 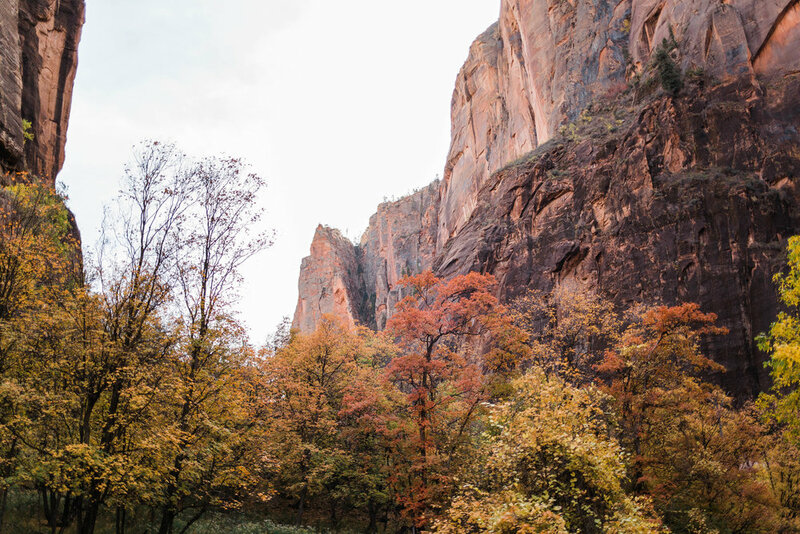 It was so nice to be able to experience Zion in the fall and I’m absolutely convinced that I’ll be back again. Because it was my birthday and all, I took some time to reflect on everything that happened this past year and I can’t help but feel extremely blessed, especially to be surrounded by the greatest people and to be able to live life doing the things I love the most. Can’t wait to see what this next one has in store!